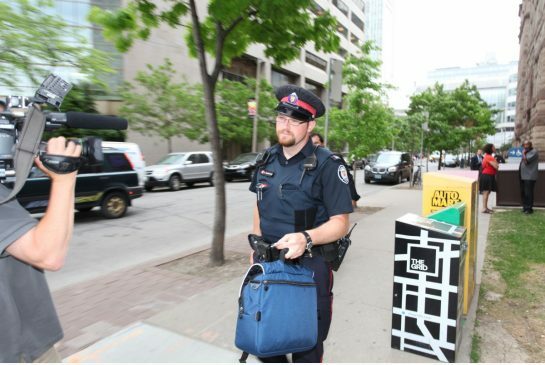 ANOTHER GOOD COP | TORONTO'S FIRST "Cop Watch"
As stated before and over again.. I had been part of the record at several meetings that not all T.P.S officers are that bad.. There are good officers out there doing the right job. meet Const. Andrew Vanderburgh was “harassed and berated” by fellow officers because on Nov. 28, 2009, he arrested and charged an off-duty police constable with impaired driving and having a blood-alcohol level over 80 milligrams, according to an internal police disciplinary ruling. ← HUNTING SEASON OF PEOPLE WITH MENTAL ILLNESS IN TORONTO .. No End in sight!